SCHOOL canteens from across the Coffs Coast will have the opportunity to win a $1000 gift voucher with the Coffs Coast Healthy Canteen Awards kicking off next term. 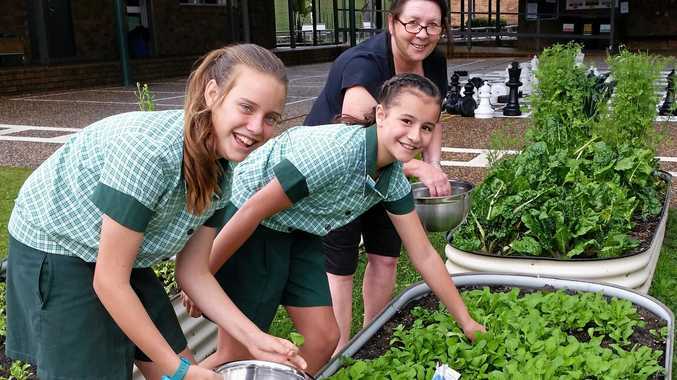 The awards, run by the Mid North Coast Local Health District (MNCLHD), are aimed at recognising schools for their work in providing healthy foods and drinks to children. First prize is a $1000 gift voucher from the Good Guys Coffs Harbour, which is sponsoring the competition. All schools that enter the awards will also go in the draw to win a Good Guys kitchen appliance package. MNCLHD health promotion officer, Jodie Sparshott, said most children aged five to 15 did not eat the recommended amount of vegetables and fruit to promote health and well-being and reduce their risk of chronic disease. "It's really important for school canteens to provide healthy food and drink options to reinforce the healthy eating messages children learn in the classroom,” Ms Sparshott said. Last year's award was won by Mary Help of Christians Primary School in Toormina. School canteen manager Meba Winter said the award helped the canteen buy a new oven. "Our school canteen, vegetable garden and egg-producing chickens reinforce what the children learn in the classroom about healthy eating and environmental sustainability,” she said. Assistant principal Margaret Ryan said the school tried to focus on children having fun with healthy eating. "We find if we make healthy eating a positive, fun experience, the children will want to take their experiences and replicate them at home with their families,” Ms Ryan said. Entry forms will be sent to all Coffs Coast schools at the start of Term 4. Forms can also be obtained by emailing mnchealthychildren@ncahs .health.nsw.gov.au. Entries for this year's Coffs Coast Healthy School Canteen Awards close on Monday, November 14.